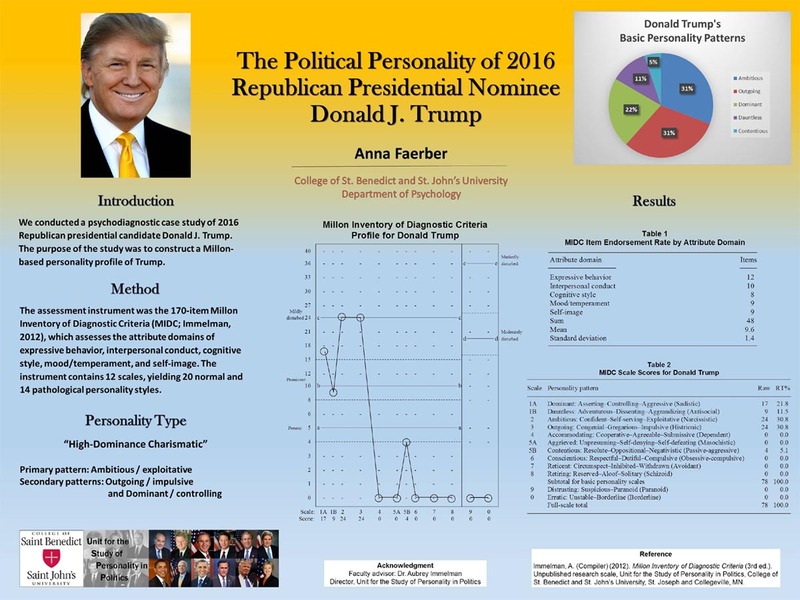 Into the Hands of Donald Trump: where to find sky-high Extraversion + off-the-chart low Agreeableness? Into the Hands of Donald Trump! Where to find sky-high Extraversion combined with off-the-chart low Agreeableness in his hands, and what do his hands 'signal' for a talent to become a successful US president? Before winning the 2016 US presidential elections, the size of Donald Trump's hands had already become a subject of public speculation. 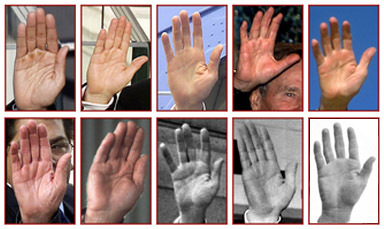 After 'The Donald' became the presidential elect we can face a few more interesting issues, such as: what do his hands signal in comparison to the hands of the 10 preceding US presidents? And what features of Donald Trump's hands can be related to this rather characteristic personality trait profile that one would not expect of a U.S. president: sky-high extroversion combined with off-the-chart low agreeableness? After Trump won the presidential race, Madame Tussauds announced that it has started working on a new body statue of Donald Trump. 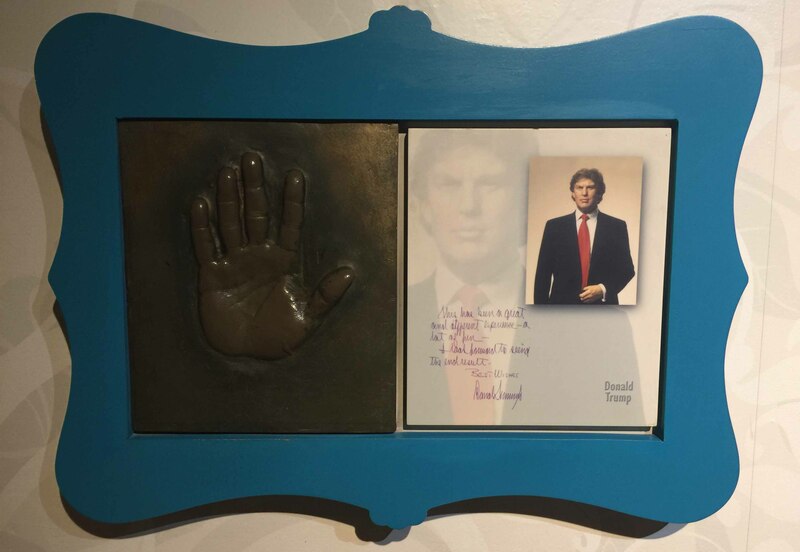 Madame Tussauds in New Yorkhas had a cast of Trump's hands on display for years (see pictures below). 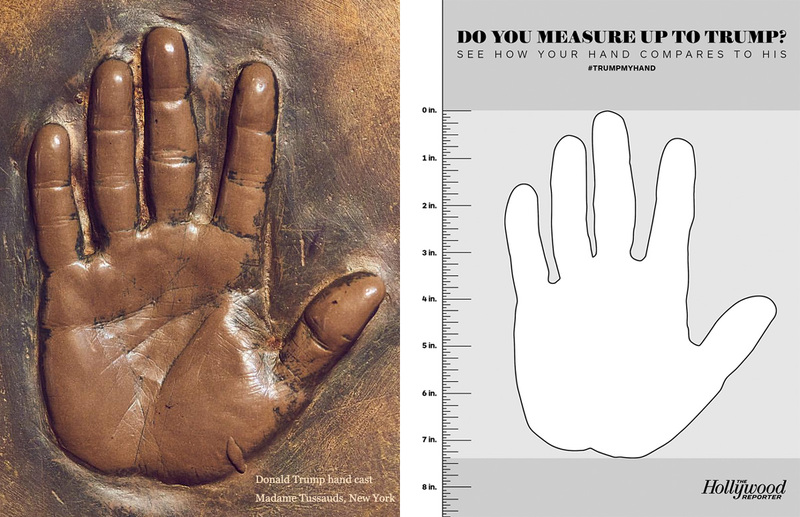 In august 2016 a report was made based on the Madame Tussauds hand cast revealing that Trump's right hand measures just 7 1/4 inches (18,4 cm) long - which is quite small for a male standing at 6ft 2 body (188 cm) height because this results in a hand length vs body height ratio of only 0,098; though not unusual, according anthropometric data collected by the author the mean value for Americans & Europeans is clearly much higher 0,108. 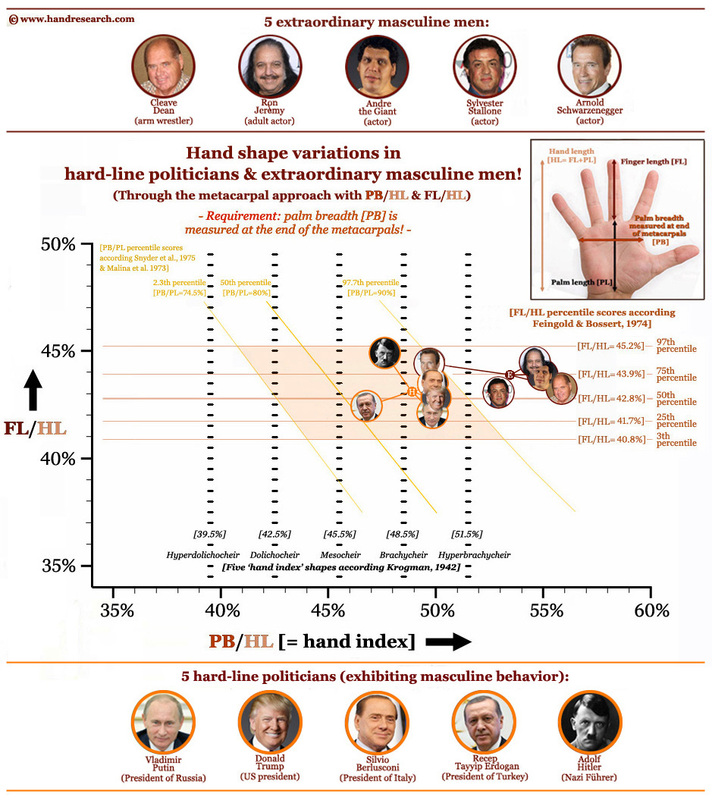 So, despite the fact that Donald Trump obviously does not percieve his hands to be small, his hand lenght can fairly be described to be well below average... however, the assessment of his hand breadth gives a completely different result. 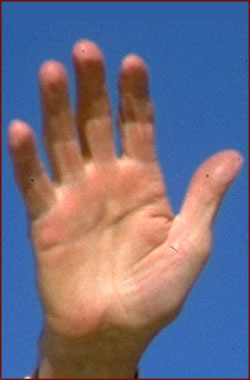 Because Donald Trump has a relatively broad hand palm (PB/PL = 0,85 versus a 0,79 mean value for Americans & Europeans, which can also be described in terms of a slightly above average palm breadth vs body height ratio: 0,0486 - versus a 0,048 mean value for Americans & Europeans), and therefore his full hand size is actually only slightly below mean hand size values. 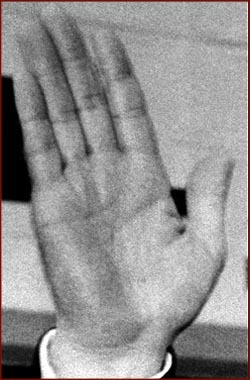 Hardly an issue to get worried about for any normal male, so where did this 'hand size' buzz origin from anyway? 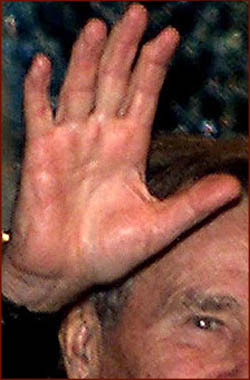 Preceding comments about Donald Trump's hand size made by former Republican candidate Marco Rubio during the 2016 Republican nominee election process, in the 1980s the real estate tycoon had already repeatedly been referred to as a "short-fingered vulgarian", a term coined by Graydon Carter in the pages of Spy magazine - Which brings us to Trump's finger length & his personality! "sky-high extroversion combined with off-the-chart low agreeableness"? According Dan P. McAdams, a professor of psychology, Donald Trump has exhibited a (Big Five) trait profile that you would not expect of a U.S. president: sky-high extroversion combined with off-the-chart low agreeableness. Especially, the 2nd part could partly explain why Trump became depicted in the 1980s as a "short-fingered vulgarian". Interestingly, Trump does have short finger length: his finger length to palm breadth ratio is just below 0,90 - which is well below versus the 0,98 mean value for Americans & Europeans. 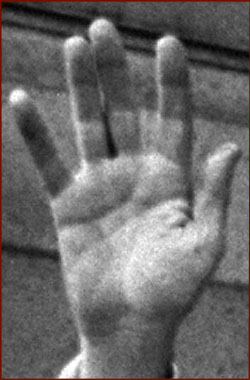 Also, recent studies has pointed out that short fingers are typically seen in extraverts (E+ scorers) and in people who score low for conscientiousness (C- scorers). Conscientiousness is defined as the tendency for a person to be thoughtful, organized, and dependable (Northouse, 2015). People who are conscientious tend to be prepared and possess the foresight to consider the potential positive and negative consequences of their words and action. They demonstrate the wherewithal to either internally or externally vet their ideas before making them public. A President is supplied a cabinet for this very reason; a panel of trusted advisors who typically represent the experts in their respective fields who can ensure the leader is making as informed a decision as possible. Most candidates running for office may not have this luxury and must rely on their own prudence of thought while on the campaign trail. Many candidates are scripted when they give a speech, so much so that they can be criticized that they are either lacking passion or their messages are redundant. But nonetheless, when speeches are scripted then you can better predict the response. Donald Trump rarely, if ever, goes by a script. He thrives in the unorthodox; taking questions from people when traditionally candidates don't do so, engaging the press in interviews on a daily basis and fielding questions about his recent actions or messages, and his messages tend to meander from one topic to the next when talking in front of crowds or responding to a question during an interview. Mr. Trump is reportedly a highly successful businessman who has impressive net worth. This post will not explore the details of the net worth, but what does relate is the apparent presence of organization and planning skills that he must have. One cannot reach the level of success and wealth he is at without having a higher level of organizational skills. However, do we see this same level of organization when he is speaking during a debate? Are his words measured and messages pointed? Are his messages designed to promote ethical outcomes or are they cast out like a wide net to see what kind of response they generate? Does he vet his responses to ensure his messages align with what his beliefs are or does he speak "off the cuff"? How does Trump's approach to answering questions align with how previous Presidents have handled similar situations?" This brings us to a comparison between Trump and the men who preceeded him in what could be the 'most wanted job' in the world. 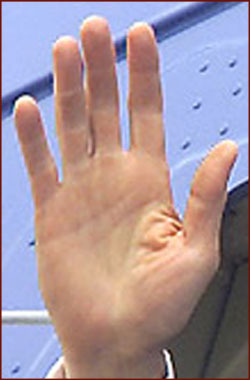 How do Donald Trump's hand compare with the preceeding US presidents? 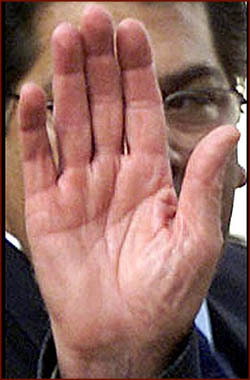 THE HAND OF A US PRESIDENT? The photos above are part of a photo collection featuring the hands of the last 10 US presidents. 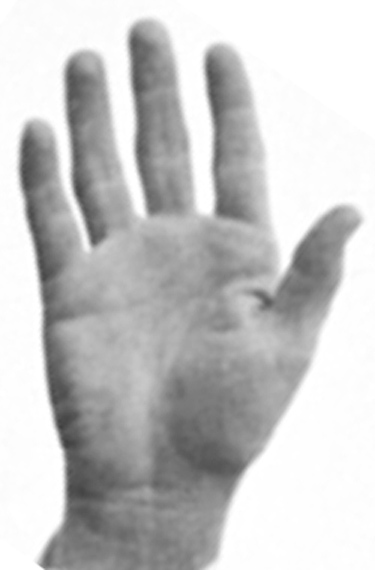 • 40% - Right hand: fate line connected to life line - [Clinton, G.H.W. Bush; both hands: Carter, Ford]. 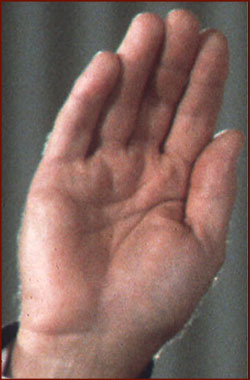 NOTICE: the percentages above are relatively high, but one should notice that these hand characteristics are also found in large percentages (usually between 10% to 40%) of normal populations. 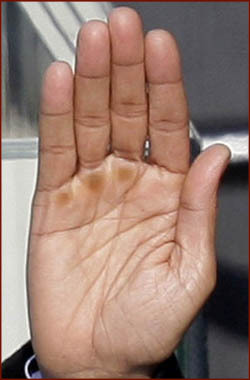 - Major creases (level 9): distal crease curves towards middle finger, left hand: fate line connected with life line. 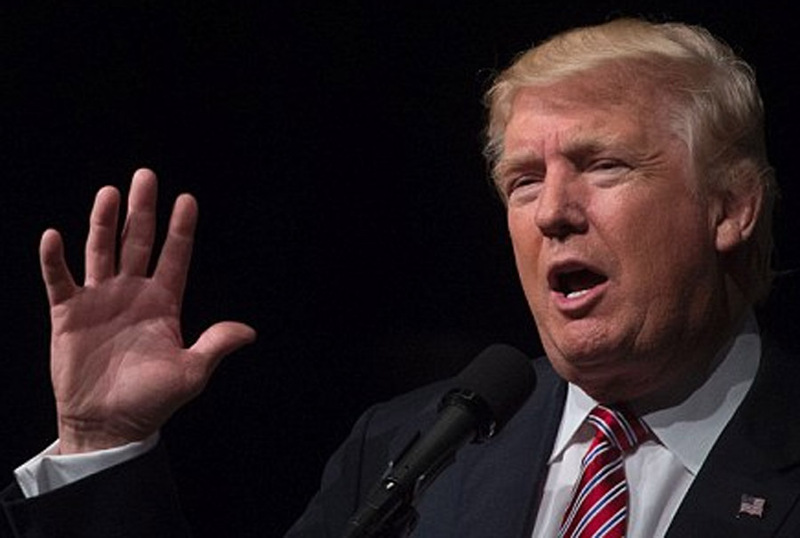 Now, how do Donald Trump's hands score for 'presidentialness'? 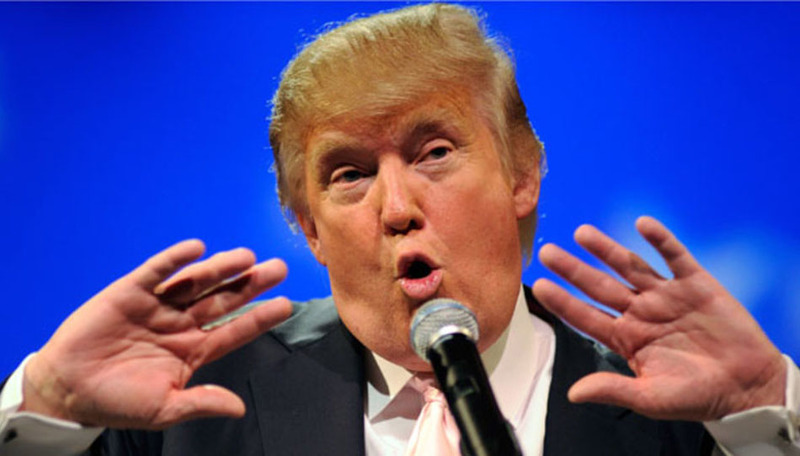 Donald Trump has only 3 out of 9 hand signs: long pinky finger in both hands & a strong, long sun line in his right hand, and a waisted 2nd thumb phalange; not counting his left hand's 'fate line connected to life line'. 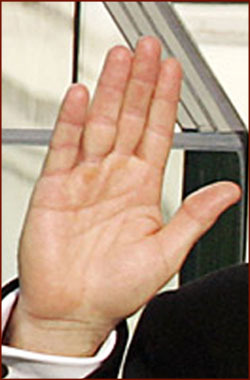 Therefore we could argue here that Graydon Carter of Spy magazine might have been spot-on by referring to Donald Trump in terms of a "short-fingered vulgarian"... as his hands do not exhibit a high level of 'presidentialness', scoring only 3 out of the 9 hand signs (just like George W. Bush - who is usually ranked as the worst US president since the 1920's) that have so far been recognized to be most significant in his 10 US presidential antecessores. Time will tell us the value of this morphological 'signal' that Trump might not have much of a talent to become a successful president...!? 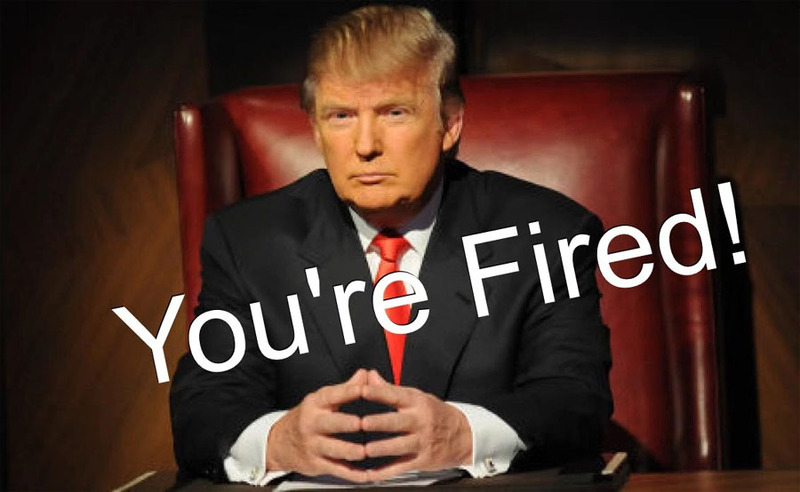 Anyway, if necessary he has a typical response available if his plan doesn't work out as planned, as his most famous rhetorics became: "you're fired" - which even became the title of a spin-off show (without Trump involved) from the reality US TV-series hit The Apprentice starring Donald Trump. Hand shape variations in 10 masculine males - featuring: Donald Trump! their 10 most common hand signs!